Lenovo has unveiled the successor of the highly successful K3 Note - meet the Lenovo Vibe K4 Note. It is a midrange phablet packing a 5.5-inch LCD of 1080p Full HD resolution and protected by Gorilla Glass 3. Under the hood is a 64-bit octa-core MediaTek MT6753 chipset with 3GB RAM and 16GB of expandable internal storage. It has a 13-MP ISOCELL primary camera with phase detection auto-focus, an f/2.2 aperture, and dual-tone, dual-LED flash. A 5-MP camera can be found in front. 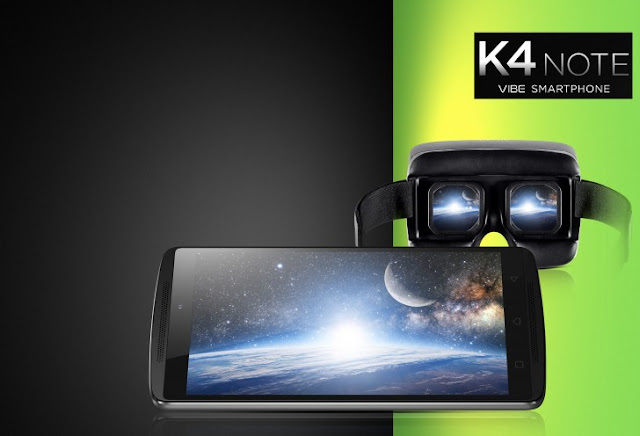 The Vibe K4 Note's connectivity options include Wi-Fi, Bluetooth, GPS with A-GPS, dual-SIM support, and LTE. It is the first phone of the series to come with a fingerprint scanner. It also dual 1.5W speakers on front with Dolby Atmos Surround Sound effect plus a Wolfson WM8281 audio codec. It also features the so-called TheaterMax, which turns multimedia content into 3D VR when paired with a VR headset. The smartphone runs Android 5.1 Lollipop out of the box with the Vibe UI on top. It will be first launched in the Indian market with a price of $180 and will be available on Amazon through a flash sale starting January 19, 2016.